He played effortlessly. From Bach to Beethoven. I was so close that I could even see the smudged fingerprints on the black Steinway & Sons. What got me was the occasional smile that came across his face as he played. It was like he too was an audience to the music. 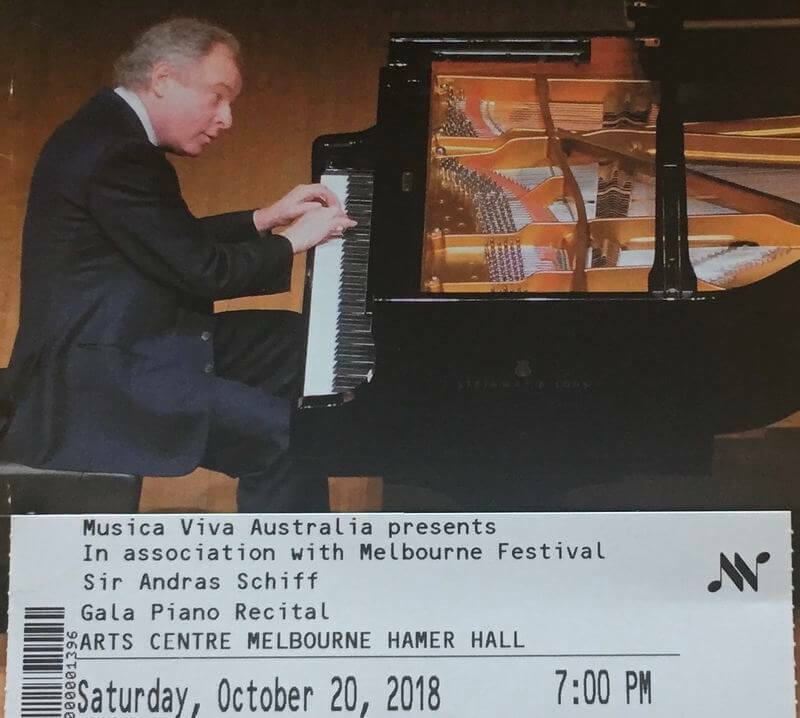 And so, it was a joy to see Sir Andras Schiff play this weekend. Not only is this Grammy award-winning concert pianist a master of his craft, he so clearly loves his work. I guess that makes it easier to get up every morning and play for about an hour before breakfast, as I’ve read he does. That, along with the countless hours of scales, arpeggios and sections of sonatas I can only imagine he repeatedly works on until mastery. Not that you ever arrive. Mastery is always a work in progress. You don’t become a concert pianist by sitting down at the piano and playing for hours on end. Ever tried that? If you have, you’ll know what a frustrating waste of time that can be. Like Anders Ericsson, the expert performance psychologist recommends, you have to work out what to learn, and then spend the hours learning it. And you hire an expert, because you know you need the help. It’s the same for leaders. More experience as a leader won’t necessarily make you a better one. You have to learn what you need to learn, and then deliberately focus on building that skill until it becomes second nature. If you’re lucky, a great boss will be your teacher and help fast track your progress. If you’re not so lucky, find yourself a coach or a mentor. Because, from my own leadership experience and working with clients, if you don’t love your leadership craft yet, you’ll discover you do when you master it.